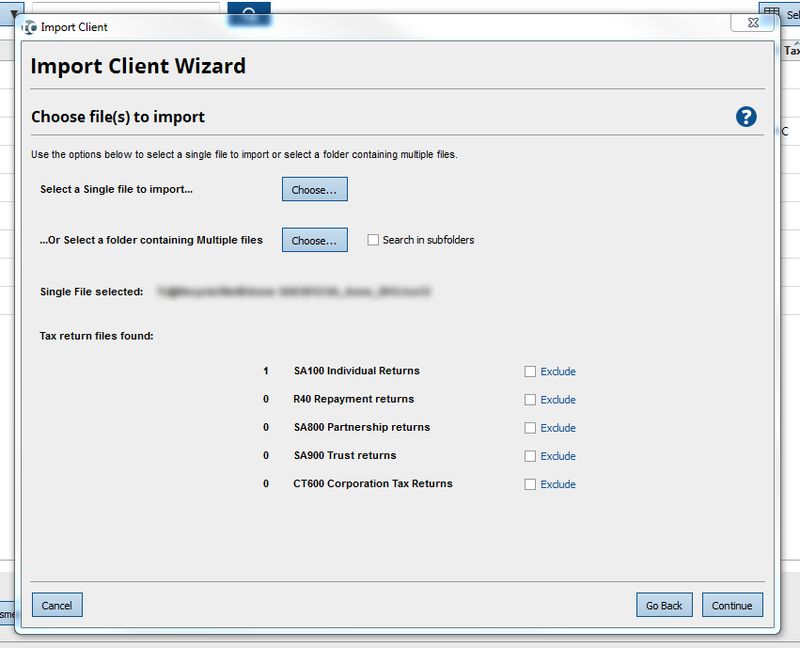 KB Home / SimpleStep® / How do I import a client from TaxCalc 2012? TaxCalc can import client data from TaxCalc 2012 tax returns so that you don't need to enter the same information for 2013 onwards. Transferring a copy of the 2012 tax return into the TaxCalc database. 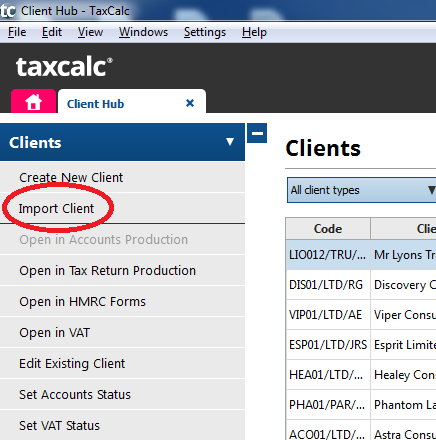 Creating a record for that client in Client Hub, which you can then use across the TaxCalc applications. This process doesn't automatically create 2013 tax returns. You must do that after you've imported the clients. When Client Hub opens, it will look similar to the screen below. Select Import Client from the left-hand menu. 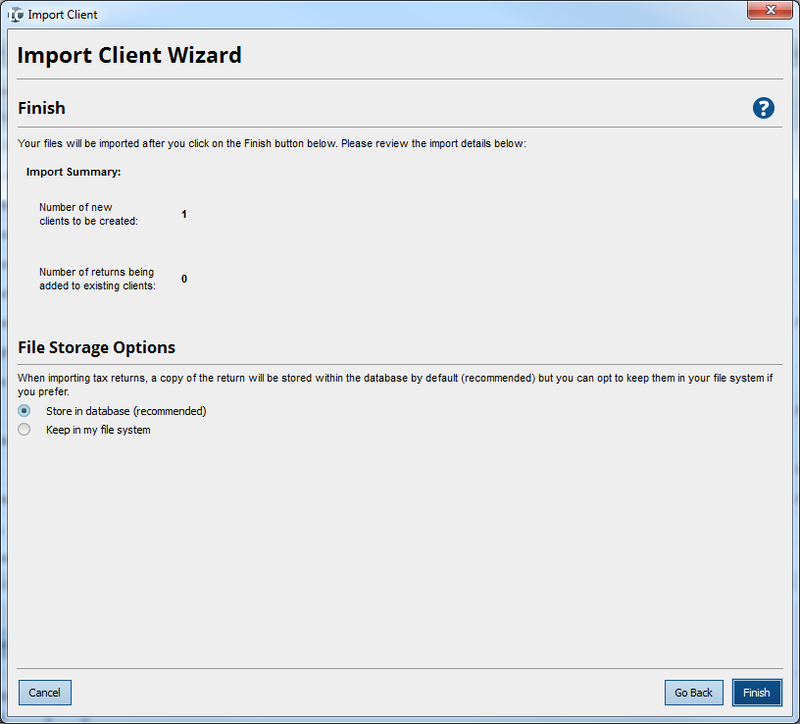 The Import Client Wizard will then open. Select TaxCalc 2012 (2011-12 year) files. Click on Choose next to Select a Single File to import…. 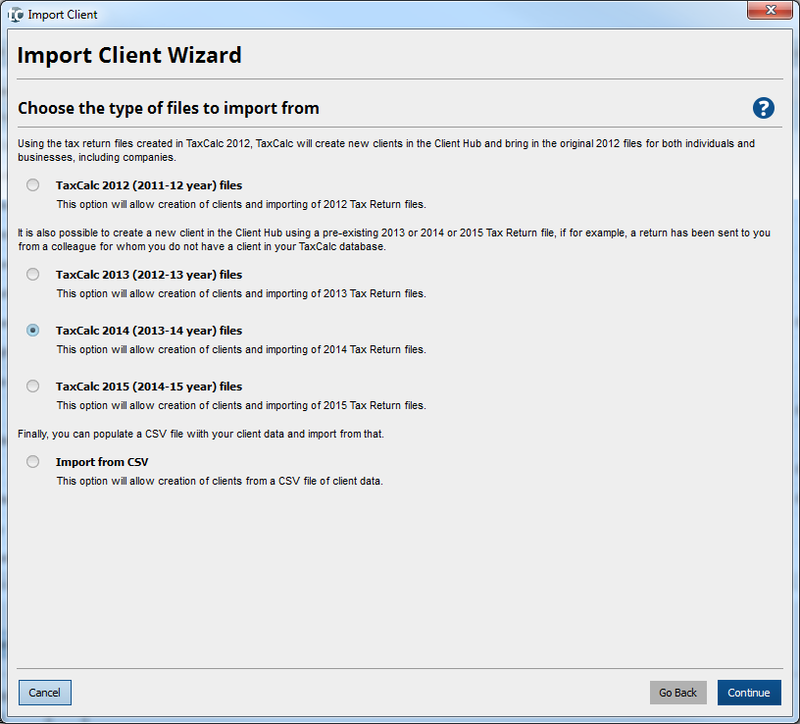 Select the TaxCalc 2012 return you want to import. 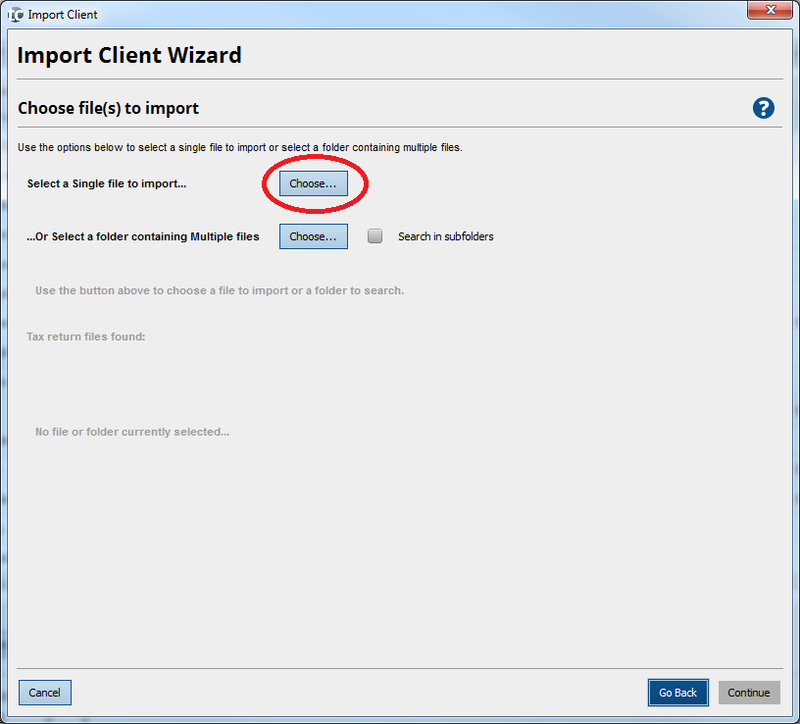 This will return you to the Import Client Wizard. The file path to your selected file is now displayed and the return file details are now populated (in this case with a single SA100 return). 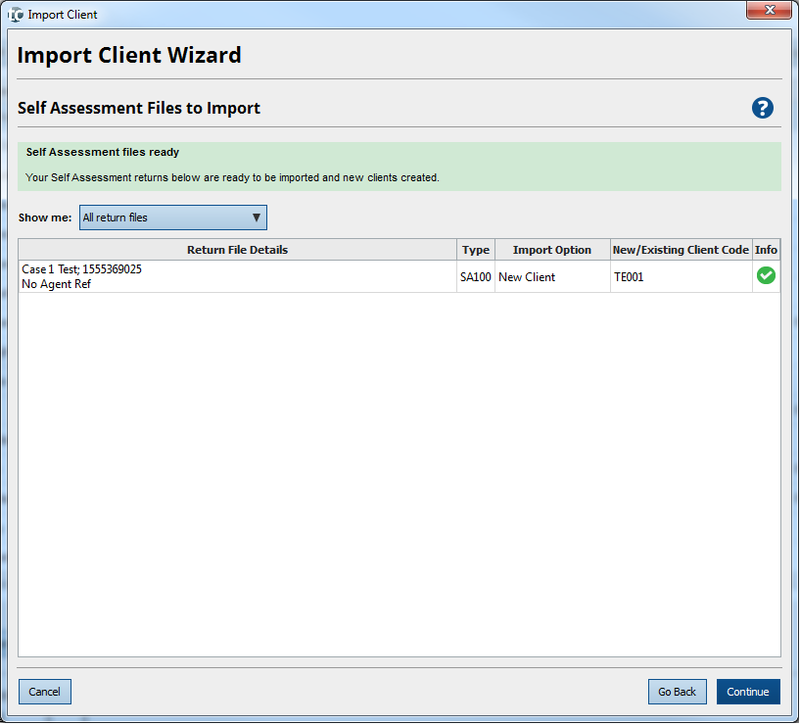 The Files to Import screen confirms the type of files to be imported (in this case, Self Assessment). The next screen summarises the files to be imported. By default, the tax return will be stored in the TaxCalc database for future use. This is strongly recommended. 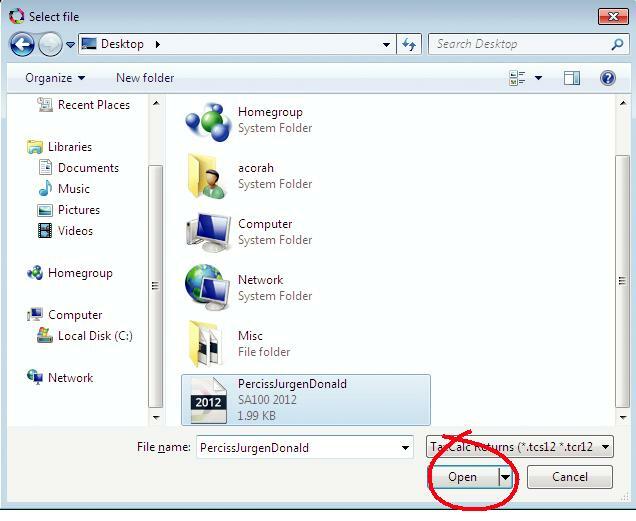 If you want to store the return elsewhere, click on Keep in my file system. The imported client has now been added to the client database and will appear in any list of clients. All of the information in the client’s record can be reused by TaxCalc and the applications that it comprises (Accounts Production, Tax Return Production and so on). This avoids having to rekey information, saving you time, and eliminates the potential for introducing spelling mistakes.